Spoiler alert: this is not a post about a happy memory of my travels in Cambodia. You may have guessed that, considering a title with the word “killing” in it probably isn’t exactly cheerful. 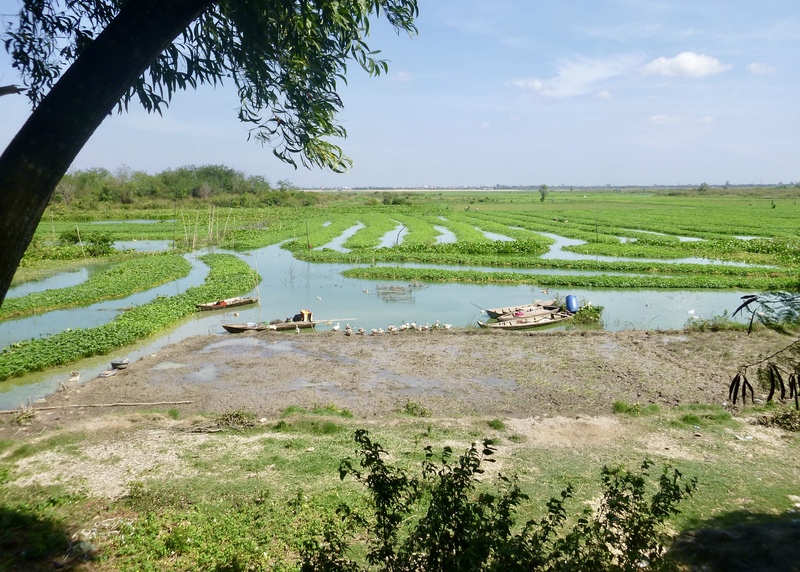 This post is about one of the most raw and powerful moments that I’ve experienced traveling: visiting the Killing Fields Museum (also known as the Choeung Ek Genocidal Center) outside of Phnom Penh in Cambodia. Neither of us can recall learning anything in our history books about one of the most terrible genocides in the 20th century: the Khmer Rouge. We were in disbelief after learning the atrocities of the regime and couldn’t ignore the pain on many of the Cambodian people’s faces. It seemed as if every Cambodian person we met was still processing or struggling from the effects of the Khmer Rouge. The Killing Fields Musuem is a way to remember the victims, honor the survivors, and never forget the genocide that occurred. I want to share some of my tips and recommendations with hopes that you will visit. Educate yourself before you go: Although you will learn a lot on the tour, it is good to have a basic understanding of Cambodian history and the Khmer Rouge prior to your visit. If you are looking for a book to get started, I recommend reading “First They Killed My Father” by Loung Ung. Visit in the morning: If you want to avoid the hot afternoon heat and humidity, visit in the morning. Somehow I think you will still manage to get chills. Listen to the audio tour: This is essential for your visit to the Killing Fields. The audio is only $6 (as of December 2014) and is included in the price of entry. The narrator walks you through the various sites and tells you many stories that are difficult to hear. Plan on staying a few hours: The audio tour lasts an hour and a half so allow yourself at least two hours. This is not something that you want to rush. Be respectful: This is a really powerful place and, of course, everyone processes differently but I found the fact that people were laughing and joking while we were still doing our audio tour to be pretty disrespectful. So don’t be like them! And please, do not take selfies with the skulls! Visit S21 Prison on the same day: Also known as Tuol Sleng Museum of Genocide, S21 Prison, was an additional location (originally a high school) that the Khmer Rouge used to torture and execute Cambodians. I don’t mean to downplay the significance by not dedicating more time to it but I don’t think it would have been quiet as impactful had we not just visited the Killing Fields Museum or vice versa. Have you visited the Killing Fields Museum before? Do you have any other tips or recommendations? Share them below!